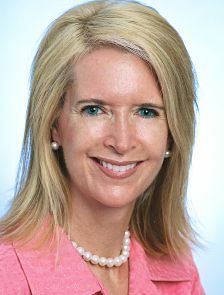 Beth founded Executive Velocity in 2006. Here, she has poured her trademark enthusiasm and energy into helping clients manage talent and develop their leadership capabilities. The year 2006 was a banner year for the trusted consultant; she was also named a Chair with Vistage, the most prestigious CEO and business owner peer advisory organization in the world. Beth chairs peer advisor meetings and coaches individual members helping business owners and executives grow and develop in their roles and careers. Beth began her career in financial management with Hewlett Packard (fka Digital Equipment Corporation) She later transitioned into account management with Coopers & Lybrand, now Pricewaterhouse Coopers. She developed and managed accounts, honing her skill in providing effective solutions for the diverse needs of clients. In 1989, Beth co-founded MA&A Group, Inc., with her husband and served as CEO and Chair of the Board. The technology project management consulting firm worked with clients such as BellSouth, SunTrust, Wachovia, and the American Cancer Society to incorporate and implement technological solutions to advance business objectives and achieve greater productivity and profitability. MA&A was named a “Pacesetter” by the Atlanta Business Chronicle in 1997, 1999, and 2000, and was ranked #199 on the Inc. 500 ranking of America’s fastest-growing companies. Beth is a graduate of Babson College and Harvard Business School’s OPM program. She is certified in Myers Briggs, Hogan, and ChangeWorks, Business DNA, Strategic Workforce Planning, and Facilitation and Advanced Facilitation from Leadership Strategies. She is Certified Managerial Coach by Kennesaw State University and has received the following awards and recognitions: Atlanta’s Top 40 Under 40, Georgia Trend’s “Divas,” and Babson College’s Distinguished Service Award. Beth’s insight and expertise has made her a sought-after speaker, and she has been featured in numerous industry blogs and publications. Executive Velocity offers a variety of free comprehensive assessment tools to accelerate and sustain leadership success.